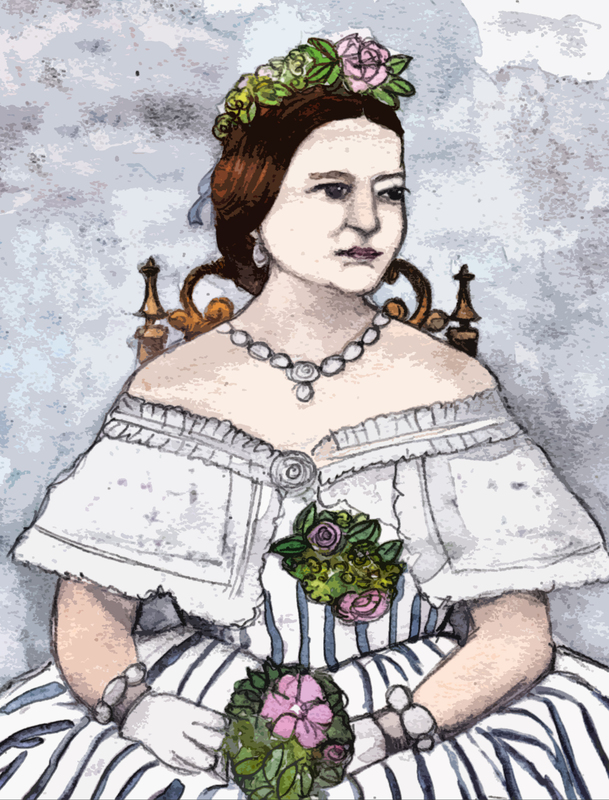 Mary Todd Lincoln was born in Lexington, KY on Dec. 13, 1818. 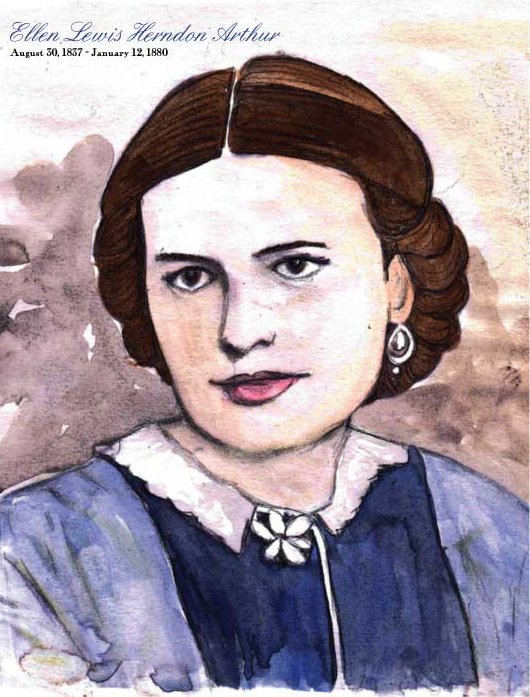 She was well educated, fluent in french, and came from a very large and wealthy family. Despite her “good” upbringing- after marrying Abraham in 1842, she withstood terrible hardships, harsh criticism, and great loss. She was said to have been very outspoken on political matters, which was unusual for the times- but even better- she was extremely vocal on her views against slavery despite her childhood in which her family owned over 200 slaves. 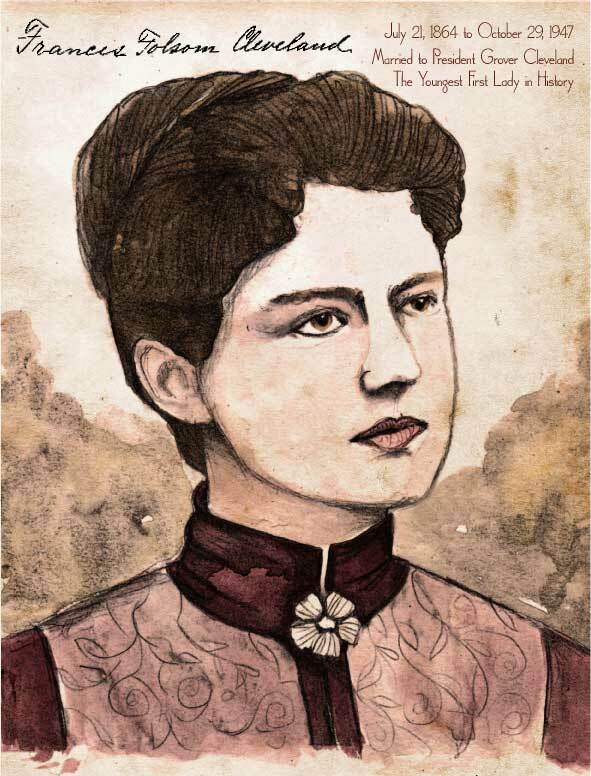 Never having got over the loss of 2 of her sons, the assassination of her husband about did her in. She suffered from severe depression and remained at the White House for 40 days after his death. She is quoted as saying “The last day he lived was the happiest of his life.” Due to her overwhelming grief, she did not attend the funeral procession. Robert Todd Lincoln (1843-1926) became a lawyer. Thomas Lincoln (1853-1871) died of pneumonia. Only Robert outlived his mother- who died in 1882. Grace Anna Goodhue Coolidge (1879-1957) married Calvin Coolidge in 1905. She served as First Lady from August 2, 1923 through March 4, 1929. She was born in Burlington, VT and graduated from UVM. She taught at the Clarke School for the Deaf in Northhampton, MA. When watering flowers outside the school one day- she burst out laughing when she happened to see Calvin shaving in front of a mirror in nothing but his long underwear and a hat. They officially met shortly after and quickly fell in love. 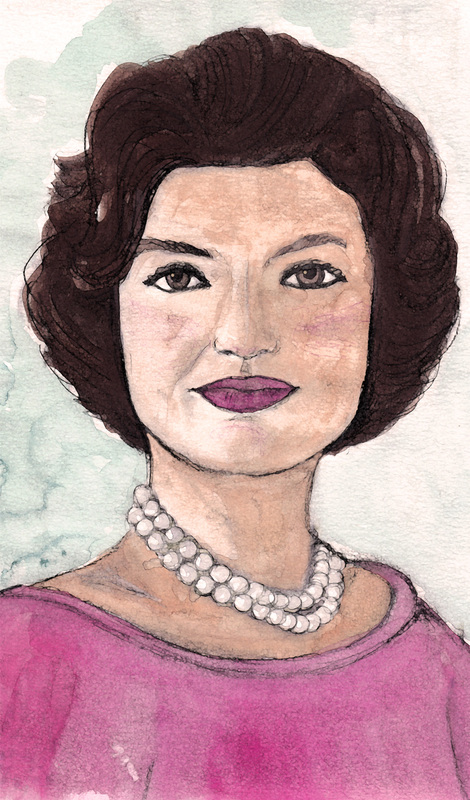 She is described as being an outgoing, vivacious woman who shined as White House hostess. Grace was extremely popular, fashionable and generous with her time. 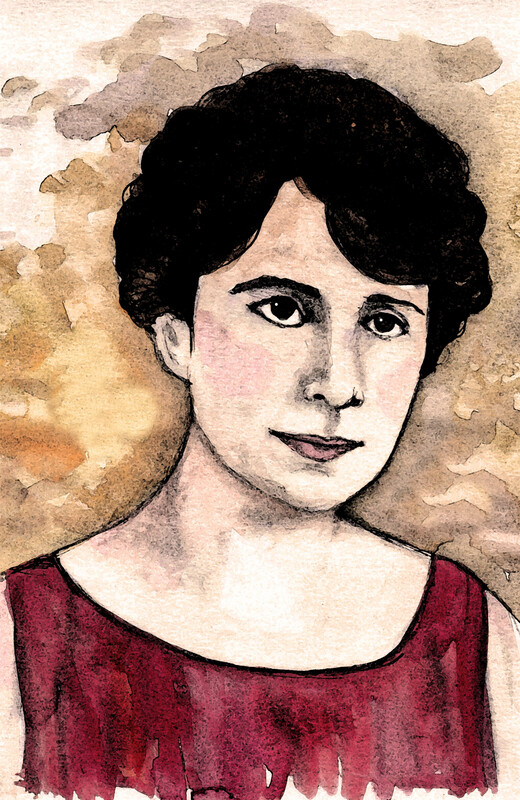 In 1931 she was voted one of America’s twelve greatest living women by the National Institute of Social Sciences. She continued to work with the deaf throughout her life and was active with the Red Cross. She is buried next to President Coolidge in Plymouth, Vermont. 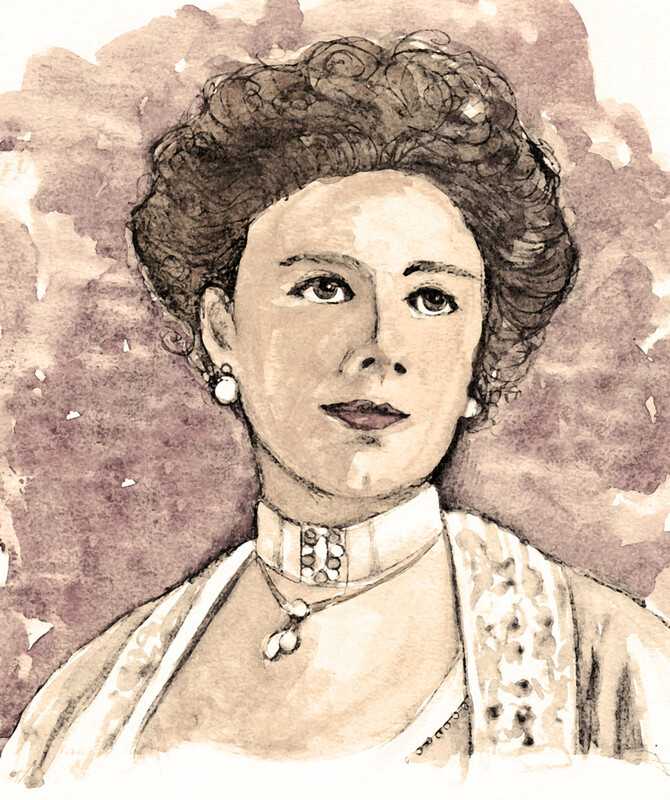 Yet another fascinating First Lady: Helen “Nellie” Herron Taft. Born in 1861 died in 1943, she was the wife of President William Howard Taft. Helen was born in Cincinnati, Ohio to a prestigious family. She met William Taft at a bobsledding party. He was 22 and she was 18. They began dating in 1882 and they wed on June 19, 1886 at her parents home. Two months after entering the white house in 1909, Mrs. Taft had a stroke that left her with impaired speech. Although she never fully recovered, she still entertained and received guests three afternoons a week. She had 3020 Japanese cherry trees planted in the Washington Tidal Basin in 1912. She opposed Prohibition (Cheers Mrs. Taft! ), promoted women’s suffrage and rights for factory workers, and is the only woman to eventually be a First Lady and a wife to a Chief Justice. William Howard Taft is the only person to have served in both of these offices. Also cool- before meeting the president, she graduated from the Cincinnati College of Music. If you grew up in Massachusetts, you know that our parents and grandparents consider the Kennedy Family to be royalty. Except for maybe Joe- my grandfather use to scowl and call him a crook. Jacqueline Bouvier married John F. Kennedy in 1953 at St. Mary’s in Newport, RI and their reception was held at her mother and step-father’s Newport estate. We all know her very tragic story, so here’s some things that you might not know about this former first lady. 1. She campaigned to save Grand Central Station in the mid 1970s. 2. She was engaged to another man. John G.W. Husted, a stockbroker. But called it off in 1952. She is quoted as saying he was dull and immature. 3. She won an Emmy for her “A Tour of the White House” on CBS. She spent over a year restoring and redecorating her new home. 56 Million viewers tuned in to see the results. 4. Before she married JFK, she was a camera girl for the Washington Times Herald and covered the coronation of Queen Elizabeth II. 5. She was fluent in French, Spanish and Italian. Continuing with the First Ladies theme- Here is Ellen Arthur (1837-1880) wife of the 21st President, Chester A. Arthur I.
Ellen was born into a very prominent Southern family- her father a renowned Naval Officer, William Lewis Herndon, went down with his ship in 1857. It was the largest loss of life in a commercial shipping disaster. Herndon managed to safely evacuate over 150 women and children- but went down with 400 passengers and crew. Ellen (or as they called her- Nell) married Chester on October 25th, 1859 in New York City. For the most part, their marriage was a good one- they had two sons and a daughter- but the marriage was somewhat strained by political turmoil and her sympathies towards the Confederacy. She died from Pneumonia on January 12, 1880- a year before her husband was sworn into office. Arthur’s sister Mary McElroy served as the unofficial First Lady and helped raise the children. So I ran a poll on the HW Facebook page and got some GREAT suggestions for this month’s theme and I’m going with First Ladies of the United States. Rather fitting to kick it off on the Fourth of July. First up is Frances Cleveland. She was the First Lady to President Grover Cleveland from 1886 to 1889 and again from 1893 to 1897. She is the youngest first lady in the history of our country- becoming so at the age of 21. – Their age difference (27 years) is the second largest of any Presidential marriage. – She is the only first lady to preside at two non-consecutive administrations. Frances was quite a media sensation and became very popular during both terms. They had three daughters and two sons. When her husband died in 1908, she spent most of her time in Princeton, NJ and eventually married Thomas J. Preston Jr. in 1913. During the great depression, she led the Needlework Guild of America generating clothing for the poor. When she died in 1947 at the age of 83, she was buried next to her first husband the former President.